North County COL Training | North County Group – Sierra Club S.D. So, you love going backpacking but can’t find enough trips? Do you want to go slower or faster or take more photos or take your dogs? It’s time for you to step up to the plate and become a COL—Chapter Outing Leader. As a leader, you can set the pace and the place. The North County Sierra Club Chapter will be hosting their Chapter Outing Leader training weekend on Saturday and Sunday, April 9 & 10, 2016. 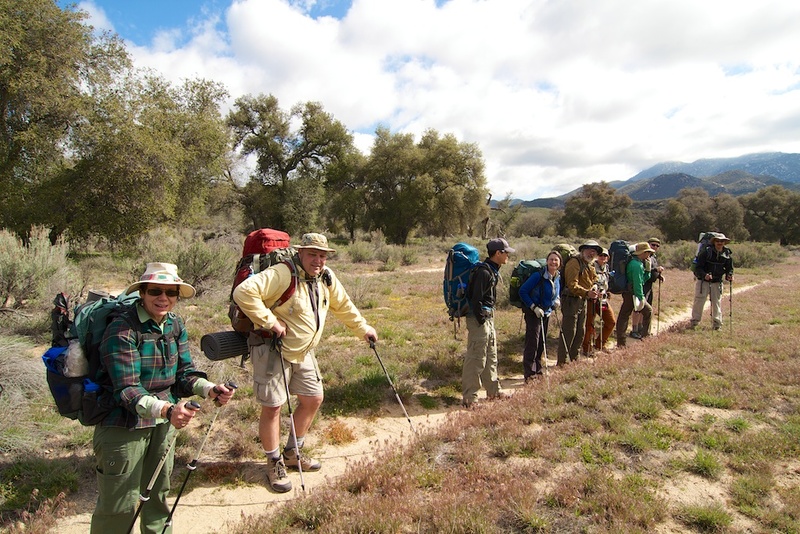 The training is run as a weekend backpack trip where we present the most common problems and scenarios that may happen on a typical Sierra Club backpack trip. To get the assignment or put your name on the list to receive more information about the COL training class, please contact Cheryl Knapp at Knappfield [at] cox.net or call 760.310.8819 and join our wonderful group of Sierra Club leaders.